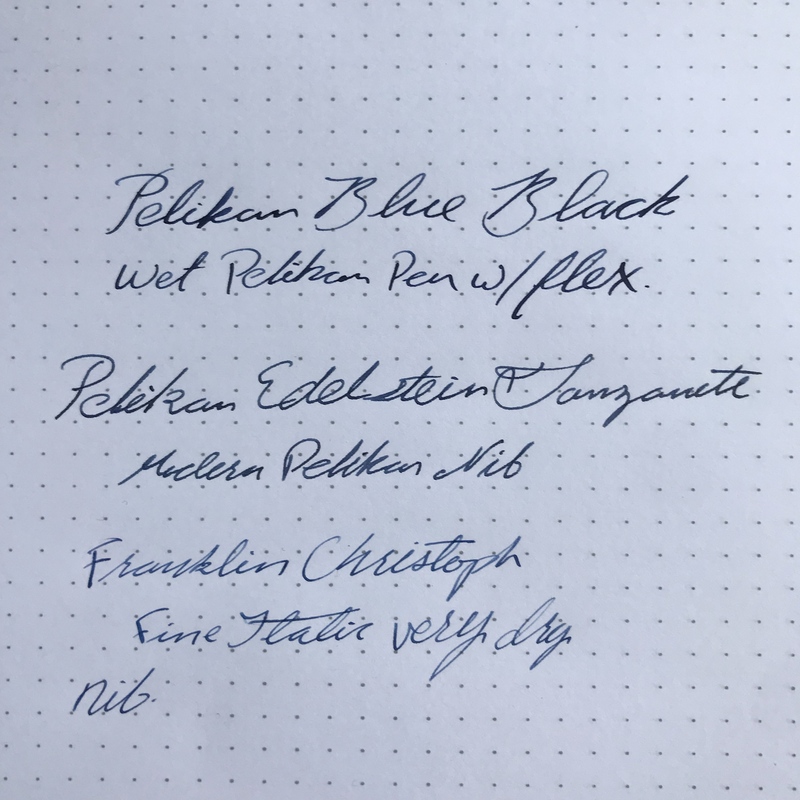 Has anyone ever had any bad experiences with Pelikan Blue-Black 4001? I ordered some from overseas, and I want to use it in one or two of my nicer pens, and I just want to make sure it's safe. I have so far had no issues. I bought some on my recent trip to Germany and find it a wonderful ink. While i haven't used it since I retired several years ago, for 20 years or so it was my main ink. Never had any problems with it - used primarily in my MB 149 and Omas Paragon. Last edited by Robert; April 15th, 2019 at 06:04 PM. While i haven't used since I retired several years ago, for 20 years or so it was my main ink. Never had any problems with it - used primarily in my MB 149 and Omas Paragon. Nicer pens than I'll ever own! That's great. Thanks. It's a great ink for very wet nibs. Anyone have any revealing writing samples? Blue-Blacks vary so much that I’m always hesitant to buy one sight-unseen. Most IG blue-blacks I’ve tried end up drying to a greyish prussian blue (which is not what I’m looking for). Probably my favourite ink of all time. I've used it in all makes and types of pen without any issues. I does have a tendancy to go a little 'Prussian' over time but personally I find that quite appealing! ALL iron gall inks will change colour over time. The colour will change from blue/black to black/blue in about a week or 2, depending on the ink. R&K Scabiosa will lose the red over a couple of weeks and become almost black. When it comes to IG inks, you need writing samples showing the ink after a week or two compared to just written. 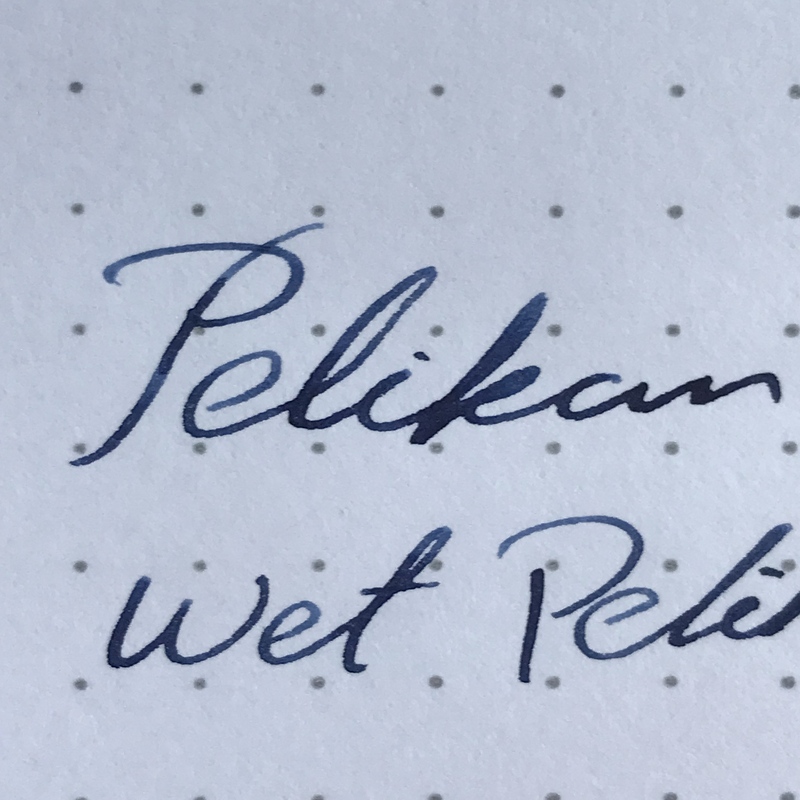 The only problem with Pelikan blue black is that after 5 to 10 years, the ink in the bottle loses the blue and becomes a gray/black in the bottle. I fully understand that IG inks change color as the iron oxidizes, which is why I requested writing samples; so I could see what the ink looked like after it’s oxidized vs. the freshly-swabbed swatches on retailers’ websites. When I first started using IG inks my expectation was that they’d end up nearly black after they’d oxidized. In actual fact, of the dozen or so I’ve tried, I’ve found that the majority either retain most of their original color or they end up a dull grey or prussian blue. While prussian blue is a fine color, it’s not what I’m looking for from a B-B. A comparison: The first is a Pelikan 400 flex, the second is Tanzanite with a Pelikan fine (for comparison), the last is a Franklin-Christoph fine-italic for a drier writing pen to compare. I hope this helps. I quite like the color in a wetter pen. Otherwise, I would say it is an acceptably nice, if a bit boring, denim blue. Pelikan 4001 Blue-Black is what I use if I have a nib that puts down a lot of ink, especially if I'm using cheaper note-taking paper that likes to feather fountain pen ink. 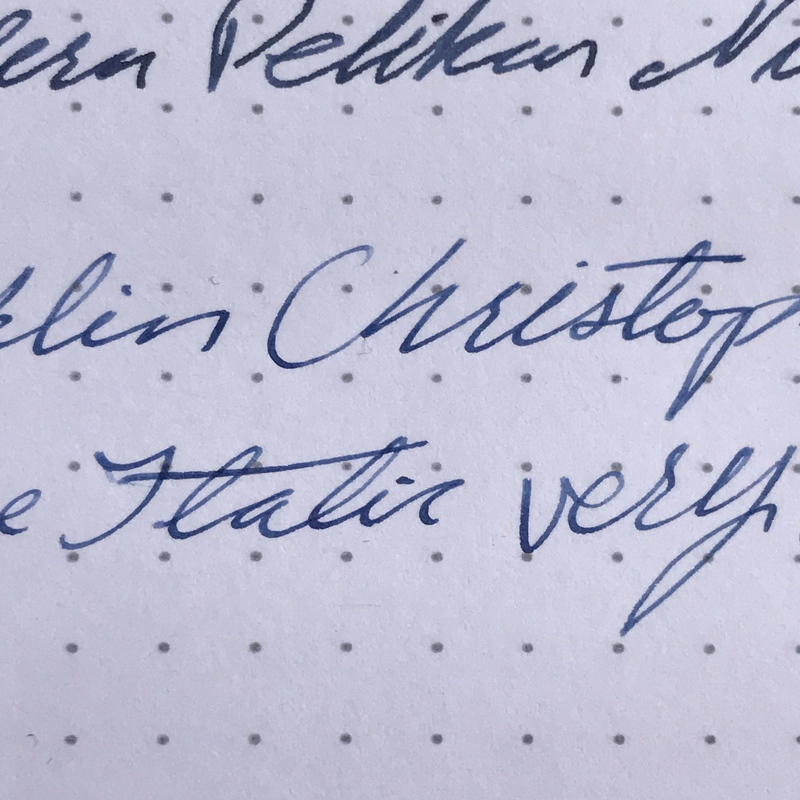 I found that the Pelikan Blue-Black is less likely to feather on cheaper paper, compared to Waterman's Blue-Black. The ink is a dark blue-grey when you first buy it but over time, it ages more to a grey than blue. It's still dark enough to read/see without difficulty, just tends to turn more grey in the bottle if it sits. This doesn't bother me because I like it so much in pens that put down a heavy line. I find the ink is not "slick" enough in a dry pen. Of the pens I own, I use the Pelikan Blue-Black in probably the 4-5 pens (a couple 1930s Balances, a 1940s fat Touchdown, my pair of Pelikan 140s) that put down the heaviest amount of ink. The rest get Waterman's Blue-Black or Florida Blue. Pelikan Blue-Black makes several of my pens usable on the standard legal pads we use around the office because it resists feathering better than Waterman's. Last edited by Ray-VIgo; April 16th, 2019 at 02:23 PM. I've been going for broader, wetter nibs lately, so this should be perfect for me. It does, indeed! How long after writing did you take those photos? That was about 15 minutes after writing.